Valves are widely used for industrial application. And valves are designed in a variety of kinds, such as globe valve, gate valve, check valve, ect. But not all valves are produced in the same way. Some one chooses casting, however, others prefer forging. So in general, forging and casting are the most common production ways of valve components for carrying out high quality valves.Below we will introduce these two ways in detail, so that you have a better understanding of them. Forged steel valves components are produced by closed die forging that involves shaping billets while they’re in their solid form after heating. And forging dies are used to press the heated billets to create required shapes or dimensions. Forging can be performed in most temperatures depending on the metals used. Forged steel valves componets presents many benefits for industrial application. For example, we don’t have to worry about wasted materials. Since forged valves are shaped into one solid piece, the only waste of material is the flash after second pressing on the trimming dies. After forging, these valve components will have a great strength, which make them ideal for systems with high-pressure and high-temperature requirement. Beside high strength, the grain structure of valve components will also be refined. This will help to increase impact and overall strength. Also, forging can eliminat our worry of defects that casting may cause such as cracks, shrinkage, and porosity. 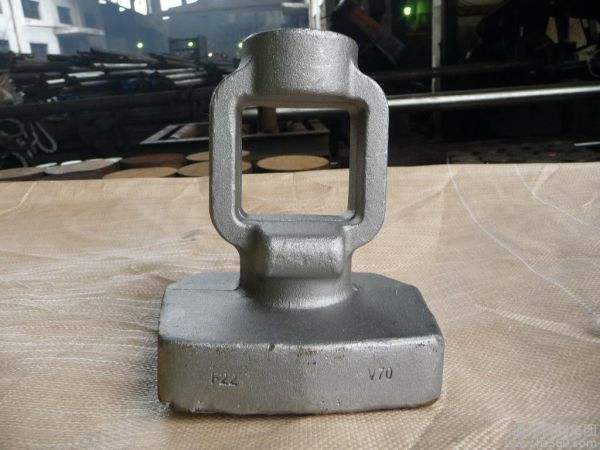 In addition, forging can create valves with less wall thickness. This helps to reduce the likelihood of thermal fatigue during valve operation. This also means that forged valves can be heated and cooled more quickly, which allows them to adequately handle the stresses of systems that continuously cycle through start-up and phase-down processes. Unlike forging, cast valve components are created starting from liquid form of metal. These metals are melted into a molten liquid and poured into required shapes. Once the liquid cools and solidifies, it’s broken out of or ejected from the mold.And remove excess metals by grinding and shot blasting.Thus you can see a complete valve components by casting. One of the biggest benefits of casting is that it can create valves with intricate shapes and sizes. 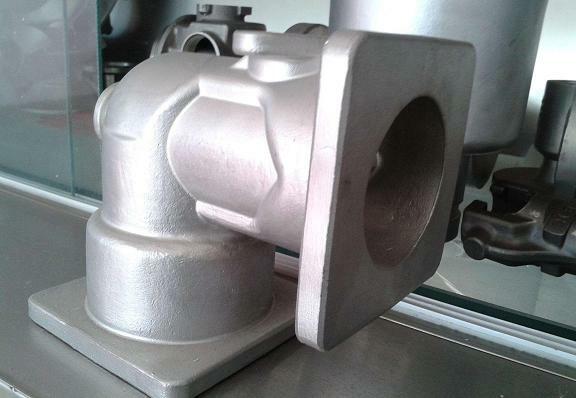 So we can say casting process can creat more complex shapes of valve components by investment casting mold. Casting valves are also a great cost-effective solution for small quantity for its cheap tooling cost. It allows you to make valves using more types of metals and alloys. According to above information, we can see both forging and casting methods have its own advantages. In comparison to castings, the structure of forgings ensures wall thickness and dimensional tolerances are uniform. High impact closed die press forces and a segregation free billet guarantees superior strength, uniformity, integrity and density. Casting issues include inter granular corrosion, stress weakness, fatigue, cracks, porosity, sand pockets, weld repairs, scars, etc. Another benefit of forgings is the directional flow lines structure. Due to quality concerns brought about by low cost country valve manufacturing we now often see customers first specify a forging rather than a casting, then specify it must be a European forging and an approved brand, yet they then still ask for 100% MPI and UT on common A105 valves increasing the cost exponentially. Using good quality forging can reduce the need for NDT. Of course UT and MPI is a good idea to provide reassurance of the quality, especially for castings in larger sizes and higher classes. Valves sold as steel forgings in low cost countries can often be not hot forged but are machined from bar. The reason is, labour is cheaper and Chinese plants don’t own sets of dies for every size & class. (This is another reason Chinese plants pop up “out of nowhere” and can make every size & class). The use of bar is allowed in smaller sizes but beware of equivalent bar that is not a forging quality despite the certificate stating A105 or 316, etc. Ensure cold forging is carried out where required.